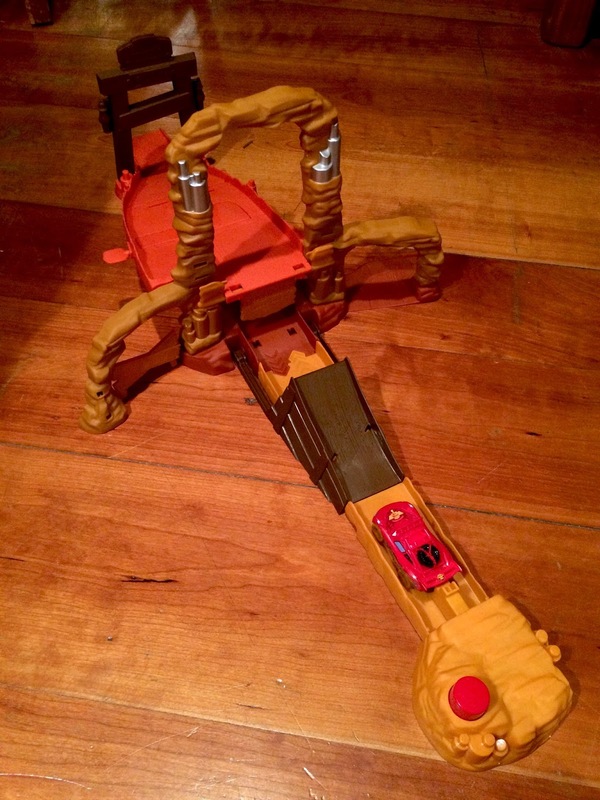 Since then, Mattel has released a collection of awesome diecast cars based on characters from the film (see my posts HERE and HERE) and a playset (seen HERE). But WAIT! There's more. Earlier this year, yet another track set was released...this Tailpipe Caverns Escape! Based on the scene when Lightning and the off-road racers accidentally drive through tailpipe caverns (instead of tail light caverns), this action packed set has a ton of really cool features. 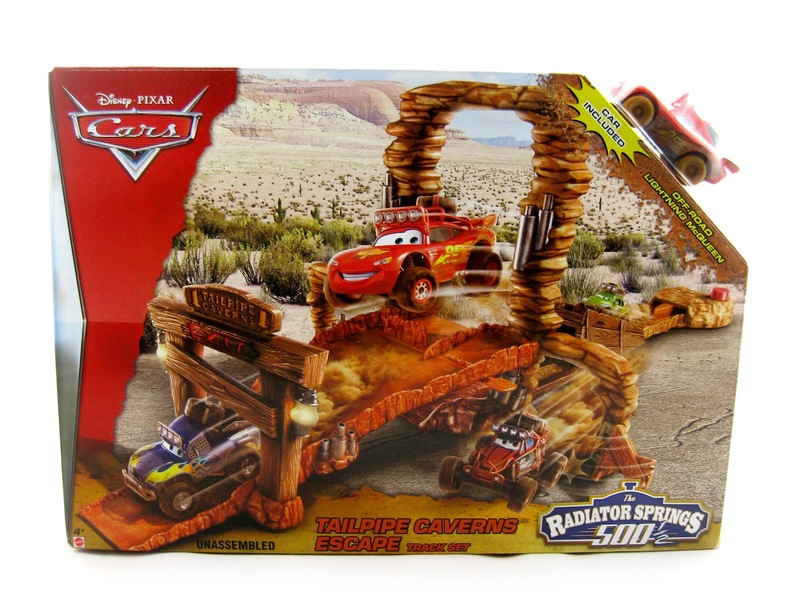 It's part of the Cars Story Sets series (a line of connectable track sets), comes with a plastic (not diecast) Off-Road Lightning Mcqueen and retails for $19.99. Ever since I was a kid, I've loved playsets to go along with my action figures and other toys. There's something about re-creating scene specific moments with toys that I really enjoy. Cars track sets are no exception...I've always enjoyed them a ton! 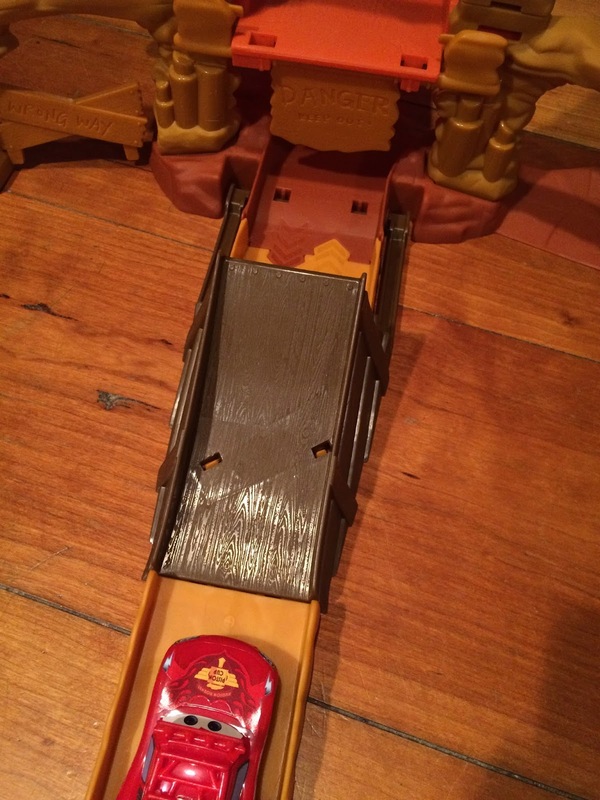 Besides, what are cars without track sets anyway? Check out the set unboxed below. 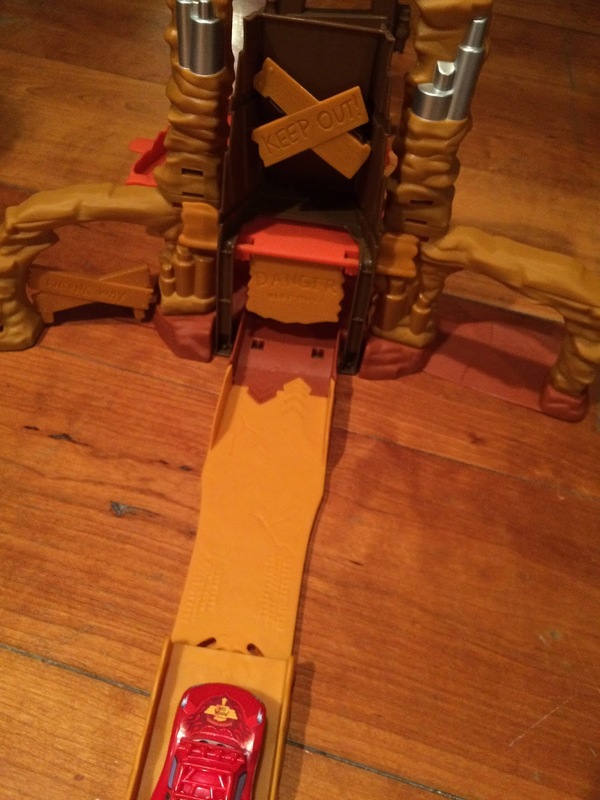 My nephew and I have been having a blast with it. He plays with it just about every day! There's so much you can do with this track set, but it's hard to describe without actually seeing it in action. Unfortunately, I didn't have the time to make a full video myself- but you can check out one of the better video reviews of this on YouTube HERE (thanks to the "Disney Cars Toy Club DCTC" channel). He goes through all the main features in full detail. 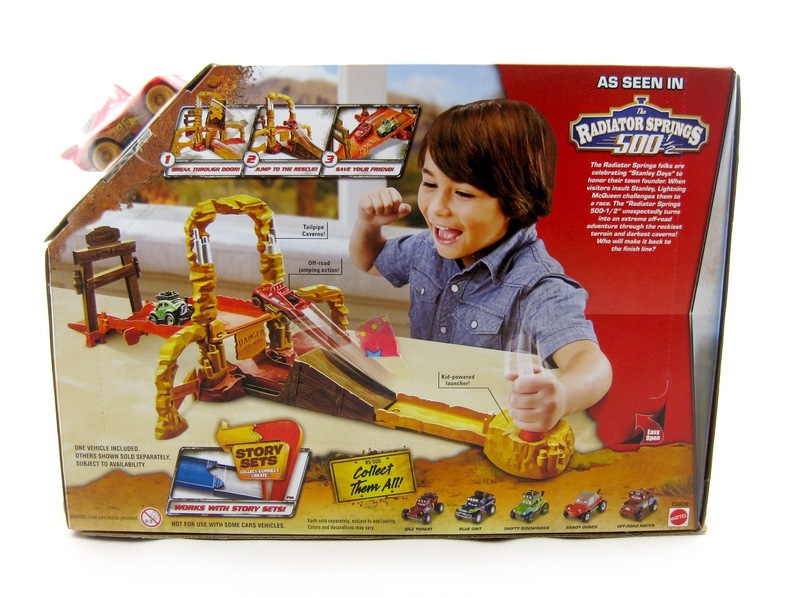 If you or your little one is a fan of the Cars franchise, then this is a fun set to have. It's sturdy, feels durable (as much as these types of tracks are) and has a lot of play value. Highly recommended! You can find it still in stores or visit Amazon using the direct link below (currently a huge discount). Thanks for dropping by! 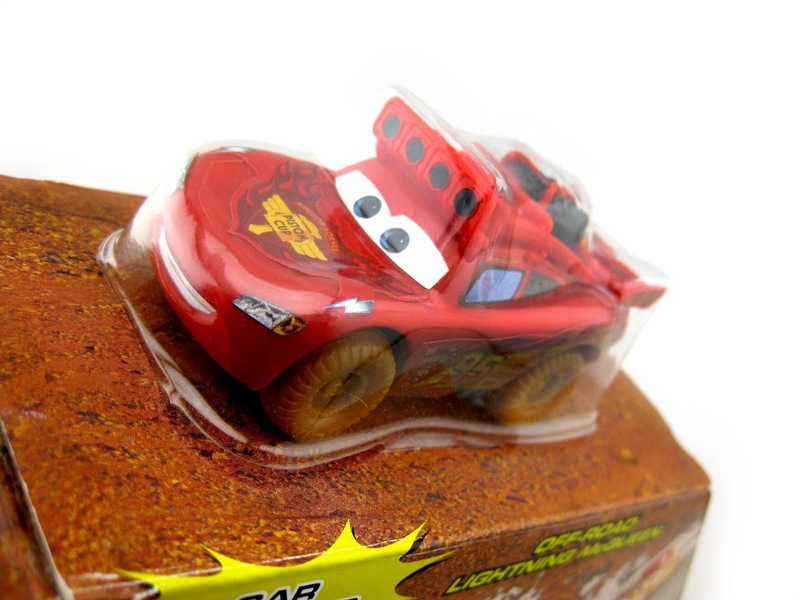 Be sure to check back daily for more from my ever expanding collection of Pixar toys and collectibles.